Pawanjeet Heir’s eyes well up as she retells the story of how she unwittingly became a victim of visa fraud, extortion and indentured servitude. She is now facing her worst nightmare: deportation, along with her husband and young son, who have given up hope after the system failed them. The global aviation map is about to shift in a way we’ve not seen in three decades. New fuel-efficient planes means we could see a lot more long-haul direct flights, but that could be bad for airlines. She is not alone. Exploiting foreign workers is rampant in Australia, so too is visa fraud. Most are too afraid to speak publicly for fear of deportation. For Heir the nightmare began in 2013 when she saw a job ad on the Gumtree website for a cook and sponsorship on sub class 457 Visa. The pay seemed fair, $52,500 a year for a three-year contract at an Indian restaurant in the northern suburbs of Adelaide. 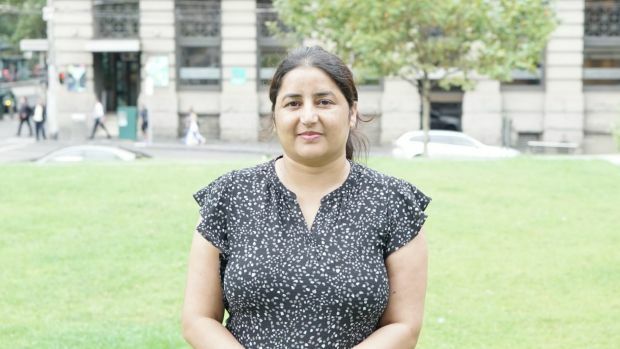 The family decided to move from Melbourne to Adelaide because sponsorships aren’t easy to get and her family were desperate for permanent residency. It took six weeks before things started to unravel, when her boss started to lay down the law. For the next two and a half years Heir worked long hours, six days a week for no pay. Months later he started using the so-called cash back scam, which involves the company paying her wages then her husband withdraws a similar amount and gives it back in cash. One of Heir’s darkest hours was in August 2015 when her appendix burst at work. Doubled over in pain, she wasn’t allowed to go to hospital until she finished her shift. It would be a decision that cost her dearly, with multiple health complications, leaving her hospitalised for weeks. “He would tell me I had to go back to work,” she said. Extortion, blackmail, cash back scams and slavery are happening every day under our noses. They happen in the most unsuspecting places such as suburban restaurants and nail bars. Most suffer in silence. He told me I can’t pay you because I sponsor you so you have to work for free. In some cases unscrupulous employers offer sponsorships to desperate foreign workers in return for payment. In other cases they lure unsuspecting workers into a job with the promise of sponsorship, then they turn on the blackmail dial. The price of visas can vary from $30,000 to $150,000 depending on the visa, the job on offer and the worker’s nationality. For companies engaging in this illegal practice, the scheme offers big bucks. In Heir’s case it was cash and free labour. Yin says another franchisee sponsored two foreign workers, charging them tens of thousands of dollars, only to withdraw the offer. “One of the workers went back to China after the rip-off,” he says. If workers complain, their sponsorship is likely to be cancelled, inevitably leading to deportation unless a new sponsor can be lined up. Finding a legitimate sponsor isn’t easy and there are no protections for workers who are exploited. Mark Glazbrook, a migration agent who runs Migrant Solutions, said Pawanjeet Heir’s case was the worst case he had come across in his many years as an agent. He took on her case in October 2015, along with a number of other staff who had been sponsored by the same company. Documents show that in September 2015 Australian Border Force had warned the company that it had been monitoring it since May and had a series of concerns, including supplying the department with false and misleading information, workers were being paid in cash and there were no proper records. “Some visa holders have signed cash payment receipts for dates that they were not in Australia,” the letter said. For Heir, what happened next was devastating. On October 20, 2015, still suffering from health issues, she was told the company she worked for had been banned as a sponsor. The upshot was her visa had been cancelled. Raj quit his job. His wife’s illness and the stress of spending so much money on a visa that was now useless became all too much. They contacted the ATO and the Fair Work Ombudsman to try and reclaim unpaid super and wages, but that came to nothing because the company had collapsed. They then applied for ministerial intervention, but that also failed. They are now in a situation where they have no working rights. Penniless, they had to move back to Melbourne to live with their cousins. Their last hope is the Federal Court, which is due to hear their matter in May, but they aren’t hopeful. For Glazbrook it is the case that continues to haunt him. He said if the government was serious about stamping out worker exploitation it would introduce protections. In other words, if they dob in their boss for visa fraud, they should be given a temporary working visa. But it seems nobody cares. Glazbrook contacted the department in February 2016 requesting a meeting to discuss “substantial abuse and exploitation” of multiple former employees. The response was brief: he was told the department had concluded monitoring the company. They couldn’t comment any further due to privacy concerns. The Heirs have suffered extortion, blackmail and are staring down the barrel of deportation. The company that did this appears to have gotten off lightly with a three year banning order for sponsoring workers. The Department of Immigration and Border Protection said it was aware of the case but couldn’t comment for privacy reasons. It is little wonder, so many suffer in silence.